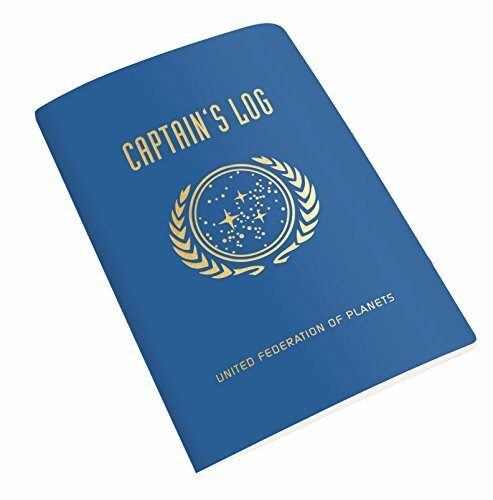 Star Trek Captain's Log Notebook - Moar Stuff - You don't need it but you know you want it. 4.75" x 7" with 64 lined pages for all your observations. 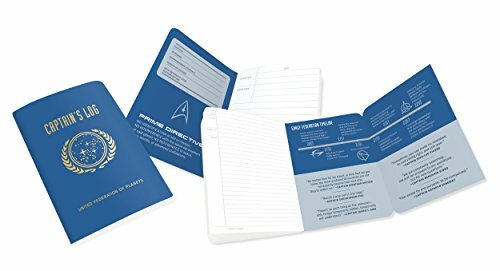 This Star Trek Captain’s Log Notebook is the perfect way to keep track of important data during your mission. It’s especially handy when the main computer is inhabited by an alien consciousness or down for some reason. As that seems to happen more often than you would think, I’m surprised these aren’t standard issue. The lined pages of this blank log are made from the finest replicated paper. 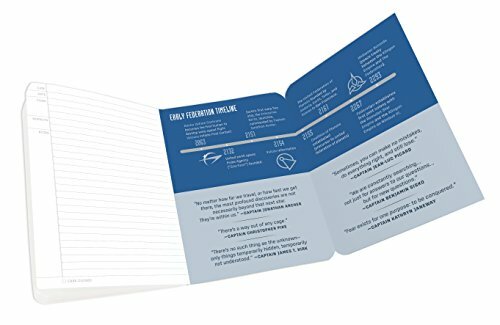 The book also includes a few quotes from famous starship captains and the back cover folds out to display a timeline of historical Federation events. 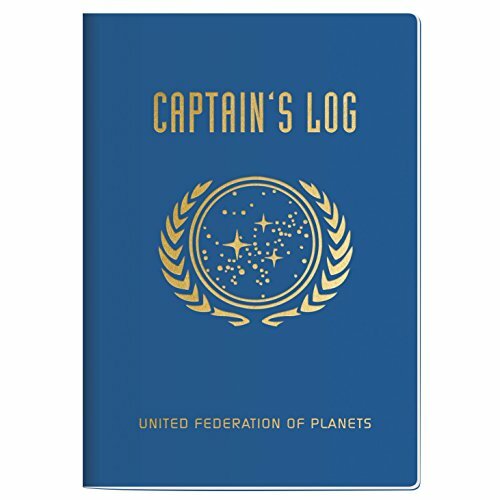 It’s about the same size and has the same look/feel as a U.S. passport from Earth circa 2017 but, it would be a violation of the Temporal Prime Directive to try to use it as one when time traveling. Not to mention the local authorities would be upset. The cover is federation blue and has nice gold writing and the Federation seal on it. It would be a great gift for a Star Trek fan or just as a great place to make a quick map of the Jeffery Tubes to keep on hand because you can get lost in them for days. Dimensions: 4.7 x 7 x 0.4 inches ( 12 x 17.8 x 1 cm). Weight: 1.6 ounces (45 g). 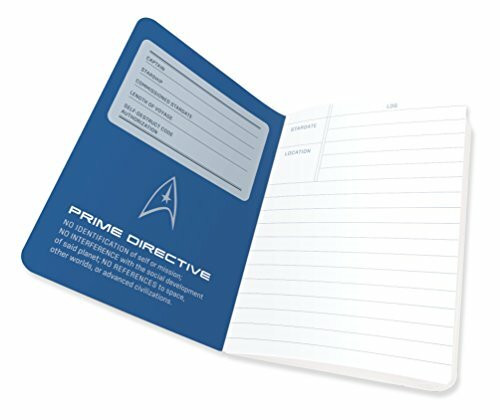 Includes some cool trivia such as a timeline of important Federation events. Looks like a passport but, don’t try using it as one, unless you need a colonoscopy from the TSA.